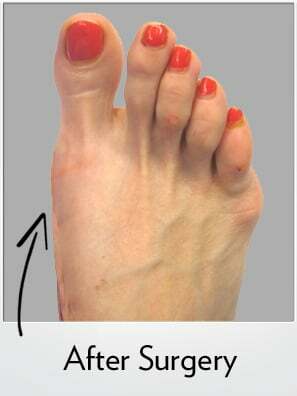 Before and after photos of Bunionplasty® prodcedure in 33 year old female living in Manhattan. 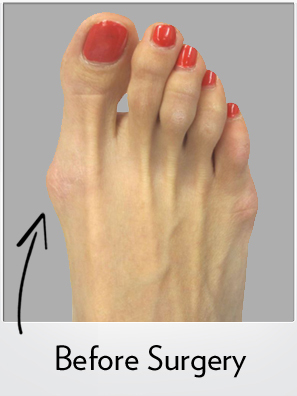 Her right foot demonstrates dramatic improvement after bunion surgery. These images immediately after surgery show how the incision is barely visible from the top of the foot. A Lapidus bunionectomy with the Contours Lapidus Plating system was used. This patient had both feet operated on at the same session and was allowed to weaightbear immediately after the surgery in a small surgical shoe.